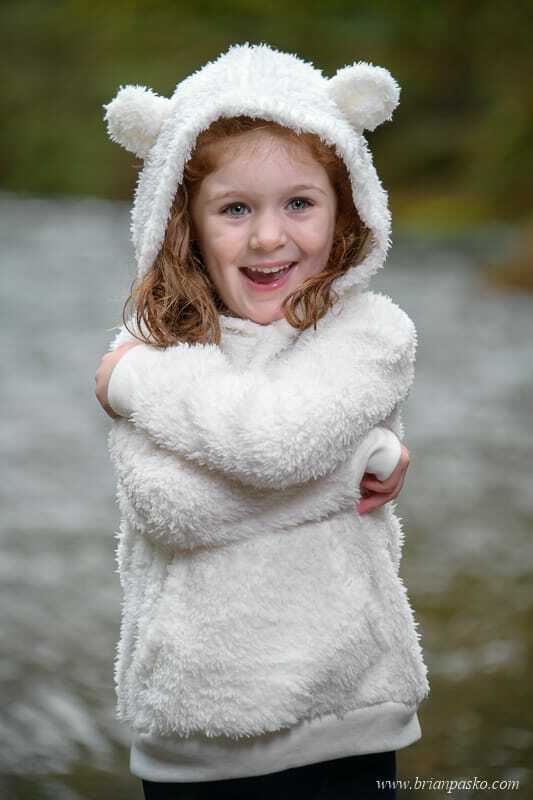 This family’s idea for winter portraits on Eagle Creek came from 5-year-old Isabel. Last summer I had the privilege of photographing Isabelle and her older sister, Samantha. Despite their age difference, the two sisters are very close and we captured some stunning images of the two of them one summer evening. This past year, Isabelle’s older sister, Samantha, graduated from high school and headed off to College. Not just any college, mind you. Samantha decided to study history — in Dublin, Ireland. So she’s a bit far away. And this left one fiery red-headed, Oregon based child longing for a photograph of her entire family together. 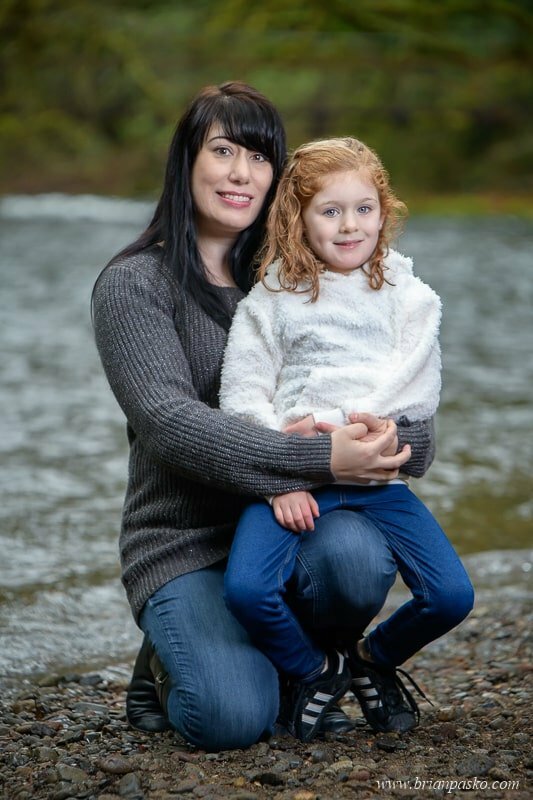 When Isabelle asked for a family portrait, the request took her mom by surprise. 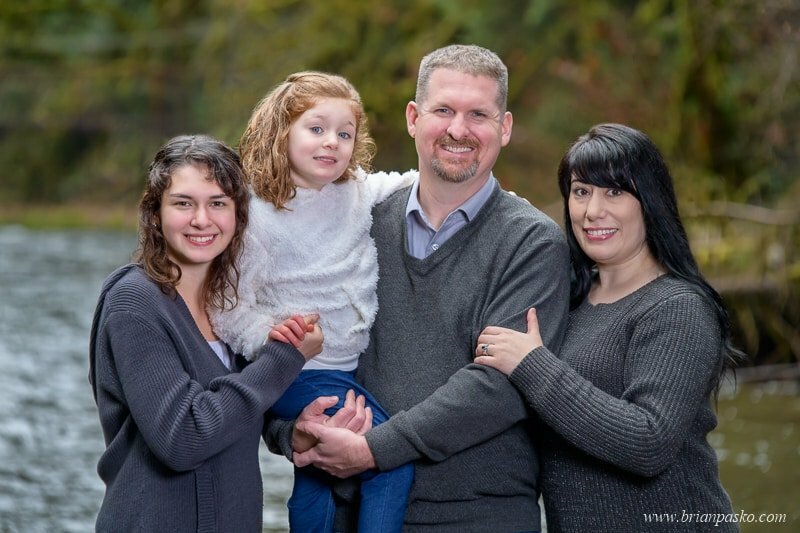 it made Katie and her husband, Josh, realize that they hadn’t made the time for a family picture since Isabel was born. The four of them live in Sandy, and they wanted something simple and close by. In other words, they needed a plan that would withstand the attention deficit of an energetic 5-year-old girl. On location outdoor family portrait locations can sometimes be a challenge in January. Not only do you risk backgrounds that appear drab and gray. You also find yourself at the mercy of the unpredictable Oregon weather. 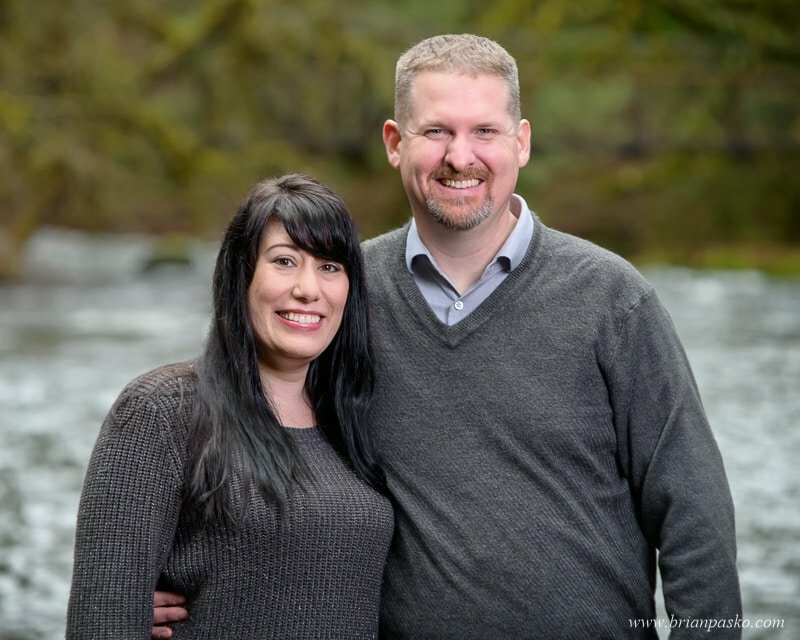 At my suggestion, we decided on Eagle Fern Park near Eagle, Creek, Oregon for their family portraits. 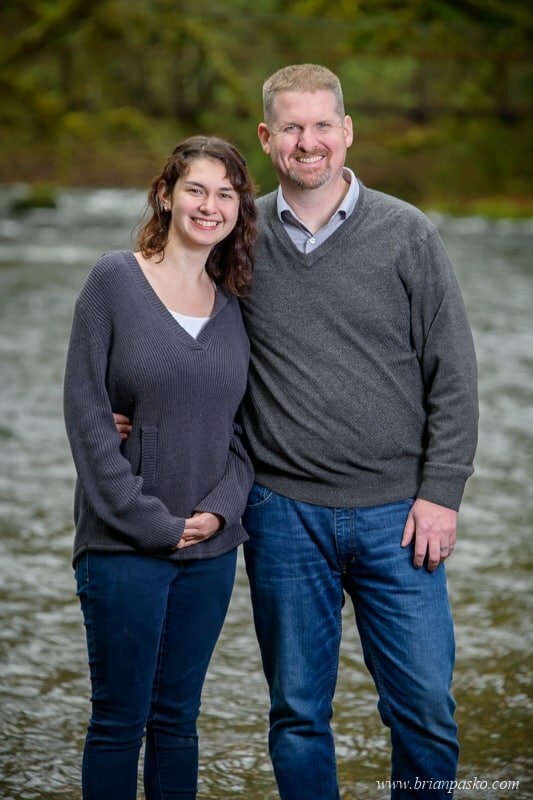 I knew that along the creek we were likely to find an open area that would provide soft light and a beautiful background for their portraits. 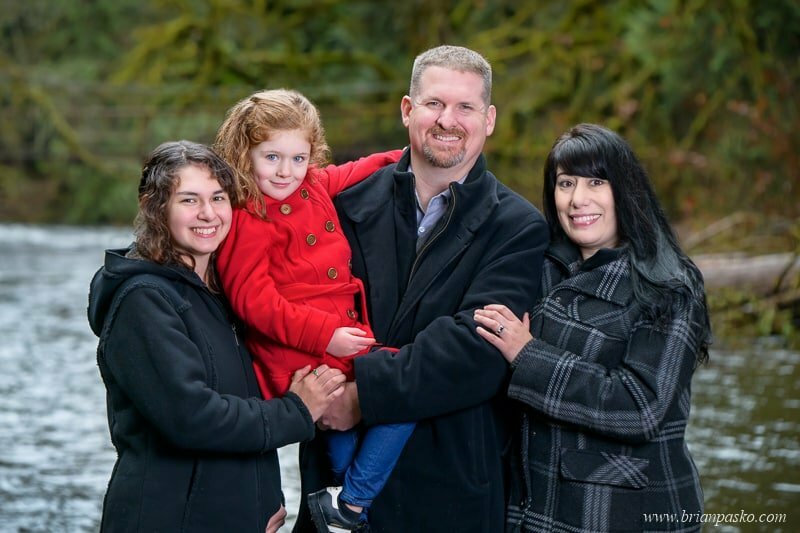 I also knew that the park has large ferns and forested areas that would also make for a beautiful family picture. 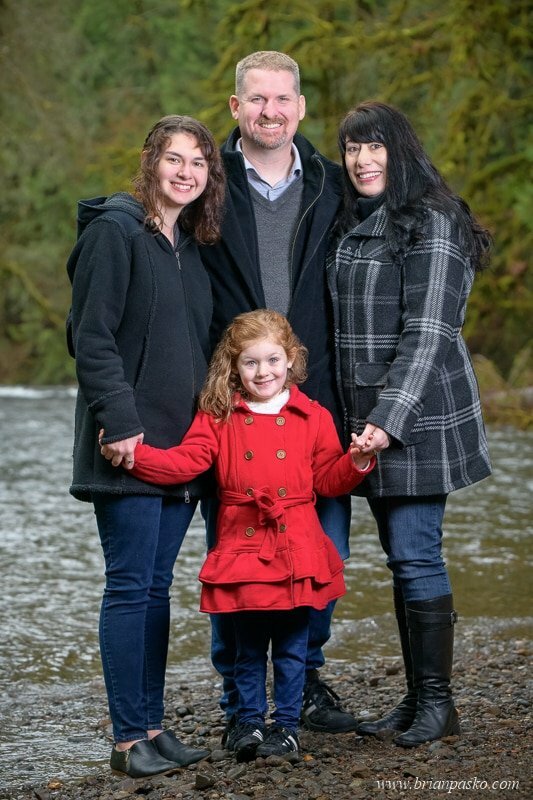 Has it been a while since you’ve had a family picture photographed by a certified professional photographer? 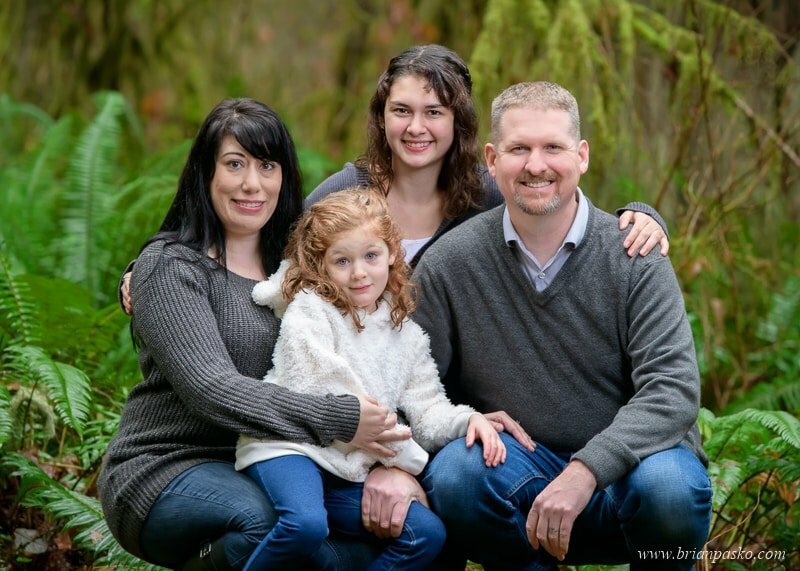 Click here to learn more about family portrait sessions with Brian Pasko Photography!